“Thank you for letting the music be the voice of your characters,” Desplat said to del Toro from the stage of the Dolby Theater in Hollywood as he accepted the award. Since 2007, Desplat has garnered nine Oscar nominations and two wins for The Grand Budapest Hotel (2015) and The Shape of Water (2018). Earlier nominations include The Imitation Game (2015), Argo (2013), The King's Speech(2011), The Curious Case of Benjamin Button (2009) and The Queen (2007). As of 2018, Desplat has seven BAFTA nominations (with three wins), seven Golden Globe Award nominations (with two wins), and six Grammy nominations (with two wins). Alexandre was born in Paris in 1961 and was playing piano by age five, adding trumpet and flute as his interest in music grew. After further studies in both France and the US, Desplat set his sights on film scoring early in his career, scoring his first film Le souffleur in 1986. He then worked prolifically on many films through the eighties and nineties, achieving his first big break in 2003 for the film Girl with a Pearl Earring. All told, he has successfully written for French cinema, Hollywood, and incidental music with over 100 films to his credit. 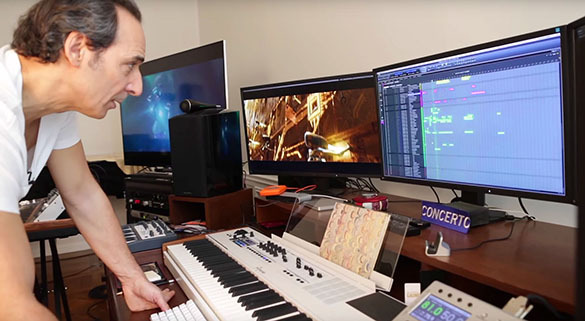 According to deadline.com Desplat had worked on several earlier film projects with director Guillermo del Toro, including Rise of the Guardians and the series Trollhunters. How did Desplat end up working with de Toro again for The Shape of Water? "Two years ago, we had sushi together and he said I want to talk with you about fish," Desplat said. The Shape of Water (Original Motion Picture Soundtrack) was released on December 1, 2017 by Decca Records. It is now available on Spotify, Amazon and iTunes.